It’s summertime, that means it's time for vacations, road trips and pretty much anything including the sun family/friends fun. Memorial Day also marks the start of what industry experts commonly refer to as the “100 Deadliest Days of Driving” for teenagers. According to Verizon Telematics, American motorists drove 50 billion miles this past Memorial Day weekend, resulting in an estimated 200,000 reported accidents. Inexperienced teen drivers are among one of the leading factors of motor vehicle accidents. Hum by Verizon helps cars go from zero to smart in seconds. It’s an easy, self-installed solution that helps make almost any car manufactured since 1996 smarter, safer and more connected. It’s provides owners with amazing features like speed and boundary alerts, monitoring of vehicle location (including stolen vehicle assistance), vehicle diagnostics, a mechanics hotline, and even pinpoint & emergency roadside assistance. 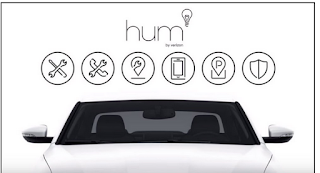 To help increase safety and awareness for teenage drivers, Verizon announced that starting today through Aug. 31, when family members purchase Hum for their newly licensed teen, they’ll receive a credit back for the equipment fee, activation fee and the first three months of service. Parents will love to have the ability to locate your teen driver’s car directly from your smartphone, you can even set alerts to notify you when the car crosses a pre-defined boundary, or exceeds a pre-defined speed. If your teen tells you they’re going to the store, you can set a boundary alert that can send you a text message if they’re actually going somewhere else instead. They will even send you a text message if your teen is going over the speed limit. You can learn more about Hum here: go.hum.com or your local Verizon Wireless store.